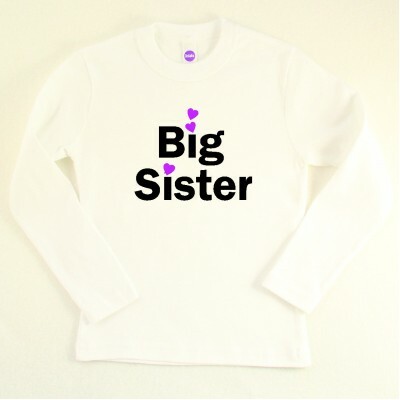 Big ststers will proudly wear this sweet design. 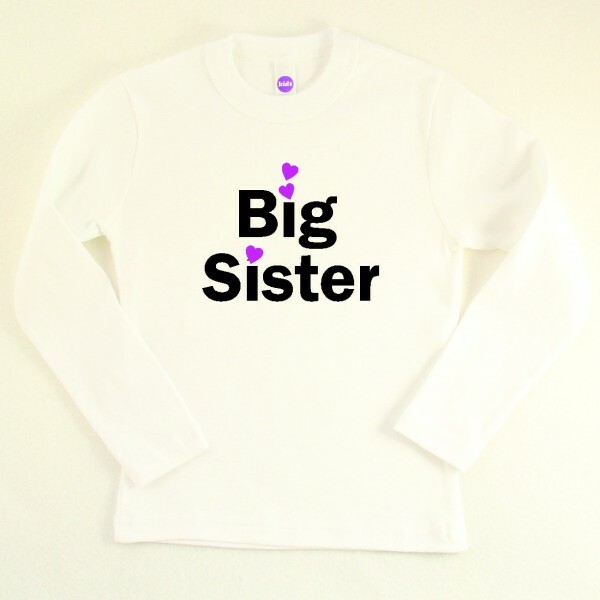 We love to add a first name on the sleeve (on long sleeve shirts only). Please note that our long sleeve shirts, raglan sweatshirts and tank tops run small and order a size up for a proper fit. Other styles run true to size. Our design colors are below. The pink, purple, and silver shimmer are smooth to the touch. The glitter colors have a sandy texture and a brilliance that elevates all our designs to spectacular! The glitter will not rub off on hands or furniture.